There is no denying that the most precious friendships are developed to become an inseparable bond. Fox and Bunny have done just that, and are the cutest duo I have seen this week! 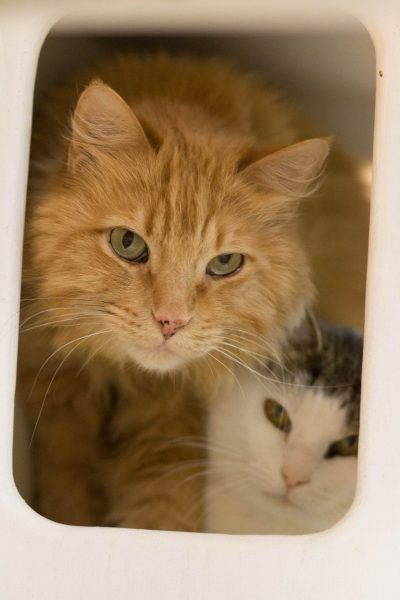 Both of these survival kitties have spent time with one another whilst staying in the same shelter, and have turned into best buds through their journey. 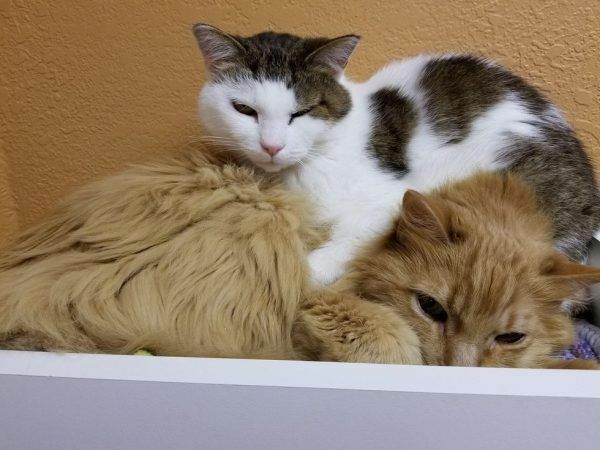 Both cats were saved and brought into The Cats Cradle Shelter in Fargo, North Dakota from separate towns, however despite having no similar roots the two clicked instantly. These fluff balls are dang cute together, having a lie down after an exhausting day. Potential Lady and the Tramp moment going on here. 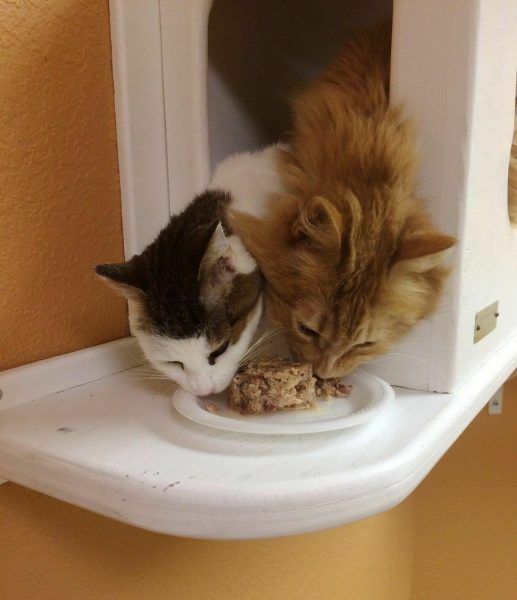 Until they were rescued and brought to the shelter, the two cats lived pretty rough lives. Fox, was half blind due to cataracts. Bunny however, was completely shocked and shaken up when he arrived. The two have since been recovering and don't have to face these problems anymore, thanks to the great care and love brought to them by both the shelter, and the strength that they gave each other! Fox was able to have some eye surgery and can now see perfectly, whilst Bunny took a long four months to gain trust again but was able to completely recover and show all his love again, after having a long period of rehabilitation and spending most of her time hidden away in bed. Fox is always by Bunny's side to protect her. The inseparable bond between the pair has helped Bunny's confidence grow immensely, by always having Fox around for cuddles or safety. Fox and Bunny are never very far apart! 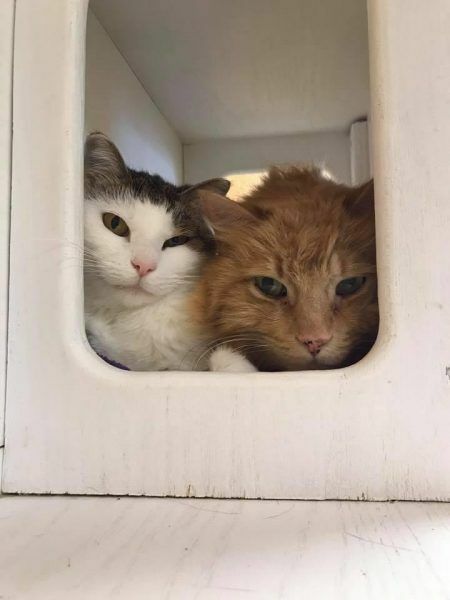 The two survival kitties are still looking for a home to call their own, and the Cat Cradle wants the two besties to be placed in the same loving home together! 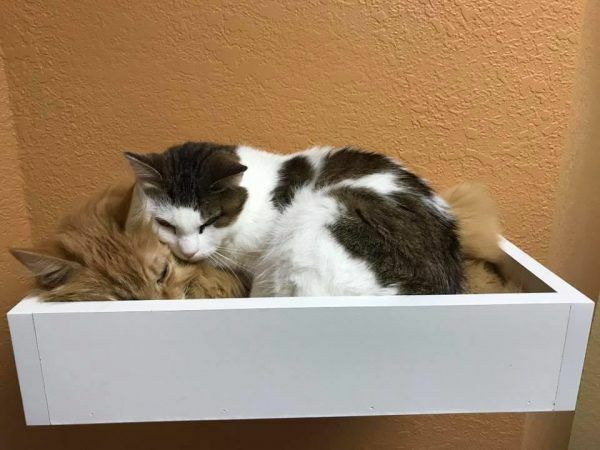 We hope the adorable duo find a home where all of the loving continues to grow, and that they have an endless supply of catnip.